Another old kit which I’ve never posted about, the 1:16 scale Ma.K. Raptor. This is a different scale to the normal Ma.K. kits which are 1:20 (so slightly smaller than this). This one is all resin and at the time of innocence that I got this (from eBay) it hadn’t crossed my mind that it would be anything odd. Well turns out this is a recast of an original which seemed to only be available at Wonderfest in Japan. Starting to do some random posts of old builds and starting with the long since discontinued Revell Starfury which featured in the Babylon 5 series. These are really nice kits and Revell released an initial version and then a limited version which featured more, and different, wing art. For my first one I decided to do something a bit different and based it on a post which was seen in the background of the Head of Security’s office (Garibaldi for anyone who remembers it). This was of Daffy Duck. Haven’t made any progress on any new build over the last few weeks so thought I would add something from the back of the shelf. 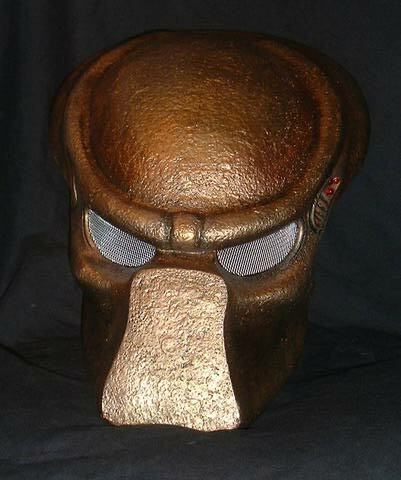 So picked this old favourite, which is the Face Mask from Predator 2. This is a fibreglass, one piece kit, so the majority of the work is in painting for which I followed the instructions supplied by the maker. There was a number of washes applied over the top of the gold to give it depth and texture. The eye pieces are mesh glued over the top but unfortunately these are solid and it can’t be worn (at least as is). There are 3 red LEDs on the side to simulate the laser sight that the Predator uses. As this was made years ago it might be feasible to replace these with proper laser pointers if you were so inclined. Continuing my additions from the “back of the shelf” I thought I’d add this old kit which I first got a long, long time ago. 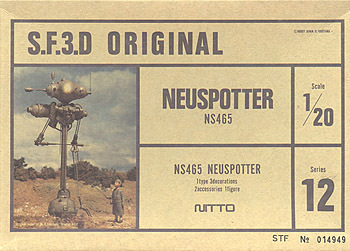 It is a 1980’s era release of one of the odder kits from the SF3D range which was subsequently re-named as Maschinen Krieger when they were re-released more recently and this is the name that has stuck with all new releases. In March 2883, the Shutoral National Defense Force ordered the Weapon Development Service to produce a high power driverless reconnaissance weapon. However, development and production were far behind time owing to a change for the worse of output of antigravity equipment. It was at the end of September, 2884 that the Shutoral forces actually began to produce the driverless reconnaissance weapon with fine computer, seeker, and senor for reconnaissance capacity and silence in moving by the front, and each forces demanded to arrange the new weapon. However, the number of production of P.K.A. was prior to that of Neuspotter. Therefore the actual arrangement of Neuspotters was limited to a few superior forces. So, through the bad translation from Japanese to English, this is basically a recon drone powered by an anti-grav drive. 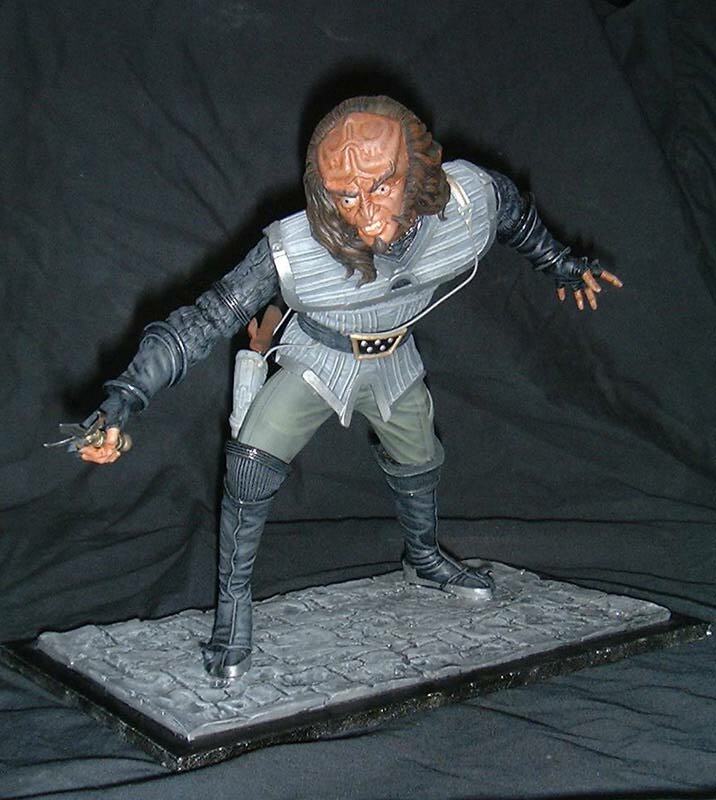 Adding some more pictures from long ago, this is the 1:6 scale Gowron which was issued by Geometrics. This was the first figure I really liked the end result on and was a festival of dry brushing. Never quite happy with the eyes or teeth and one day might try and redo these, but very happy with the way the skin and clothes came out.